Colour of Maroc: Beignets, beignets chauds! 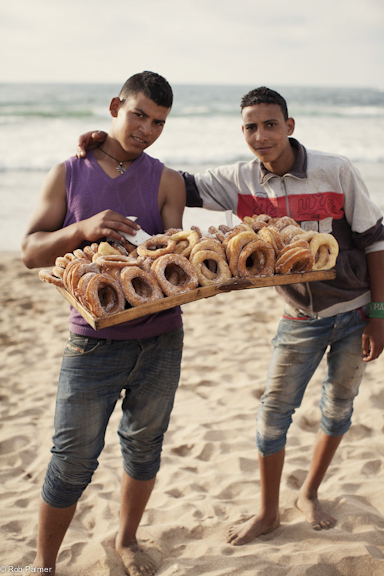 On many a beach in Morocco you will hear "beignets, beignets chauds!". As a child, every time i heard those 3 words my heart stopped. I knew my favourite breakfast had arrived!! My friend Omar the beignets seller was waiting on our door step, a big wooden tray on his shoulder layered with delicious freshly made donuts lightly dusted with sugar just the way i love them. Slightly crispy on the outside, fluffy and moist on the inside. 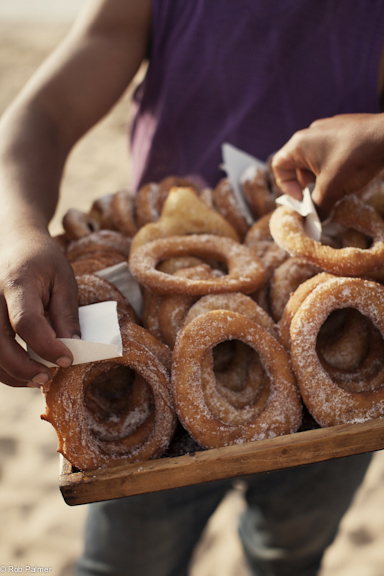 These West African donuts are the perfect way to start or finish any day.